Online courses like Learn blogging online, helps a blogger or online tutor to increase his income in a great way. There is no doubt that it takes a lot of time to create and put all the content together as a course for your readers. Still it can be overwhelming to launch an online course effectively. Today I am going to talk about the most crucial steps that you need to follow to create an online course. 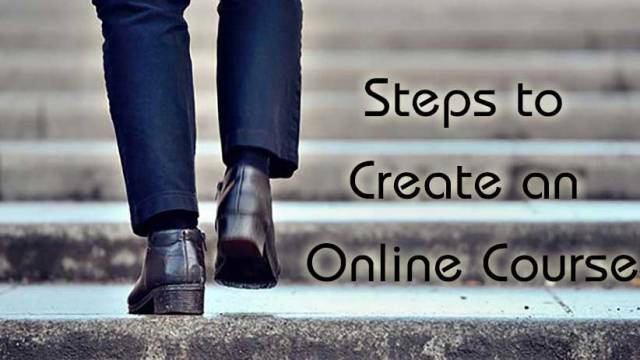 In these 3 easy steps you will see how you can start an online course. The very first thing is to decide whom you want to educate through your course or who wants to learn from you. Never make your first course too broad. Stick to the main topic. Always keep in mind that what type of students you will get or who will get the benefits of your course and what they will learn from your course. What do your students know already? What do the students wants to learn during the course? How much time they can spend on your course? When you write the answer of all these questions, you will come to know that how long you should teach your students and what you should teach them. Now you need to decide the medium such as video, camera, slides or sharing screen or audio classes. You can also decide about pdf or downloadable content. Is your course visual or practical? Do they need some experience or freshers can join your course? You can use combination of methods or can try like me teamviewer for screen sharing and skype for talk. Technology plays the big role. There is no compulsion that you need to be tech savvy. There are various tools available in the market which helps you to setup an online course. Always look for how you want to present and deliver your course and then look for the tools you need. You can even go for self hosted platform, means host course on your own website or blog. You can look for Online learning platforms. There is no absolute answer when it comes to create an online course, but still you can follow above steps to create a beneficial course. If you still have any question or suggestion, feel free to ask via comments.